The Holy Quran is the last book of Allah ﷻ that was sent down on the earth from the heavens upon the Last messenger and Prophet – Muhammad ﷺ through the noble angel Jibreel (as). It comes with a complete direction for the humanity. A manual on how to live a successful life. As we fumble through life, constantly looking for solutions for each problem we face, Qur’an gathers dust on our shelves with all the secrets embedded inside. The question is, where do we look to when faced with a problem? Do we have a strong relationship with this book that we are able to actually find solutions within? The large majority of what we recite in our prayer is the last few pages of the Quran. Reading the Quran outside our prayer can allow us to explore the other beautiful pages and truly bring the Quran into your life and make it a part of us. As each relationship in life, we require a constant connection to keep it strong. Do we recite the Holy Qur’an daily to keep that connection alive? I know sometimes it can be a struggle to take out that dedicated time for Qur’an – especially as a mom with multiple roles in life. 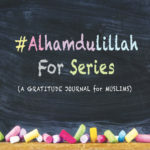 In this article, we will explore the ways that can help us easily develop the daily relationship with Quran in shaa Allah. This is something we have already discussed in THIS POST. The way to truly profit by the Holy Quran is to look inside our hearts before starting a divine journey with Allah’s book. We must ask ourselves a simple question – why do we want to recite it? And what do we want to achieve as a result? Does fear motivate us or love? Different emotions can work with different people. Know what triggers you and set yourself a path accordingly. If it’s not a part of your daily routine, begin with only a few minutes a day. If you have kids, recite with them! Have them sit in your lap and hug them while you recite. Let them put their finger on the words you’re reciting. You will not only get to bond, but you will set an example for your children along with making Qur’an an important part of their life bi’idhnillah. Start small and then gradually increase. It won’t seem so dramatic and feel burdensome that way. Time will in shaa Allah expand for you eventually. Most people can read the Quran but don’t understand it, so they think that there’s no point in reciting it either. Know that no relationship is complete without the sense of understanding. As you’ll get familiar with the words of Allah, you’ll start to feel your relationship improving. And reciting it is the first step towards understanding. Just like any other relationship in life, it needs hard work and loyalty. The more you understand, the better your relationship gets. Once you understand the words, you’ll want to come back to it more often. 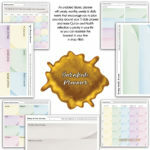 You can follow our Qur’anic reflections series where we are following a set schedule for the Qur’an. 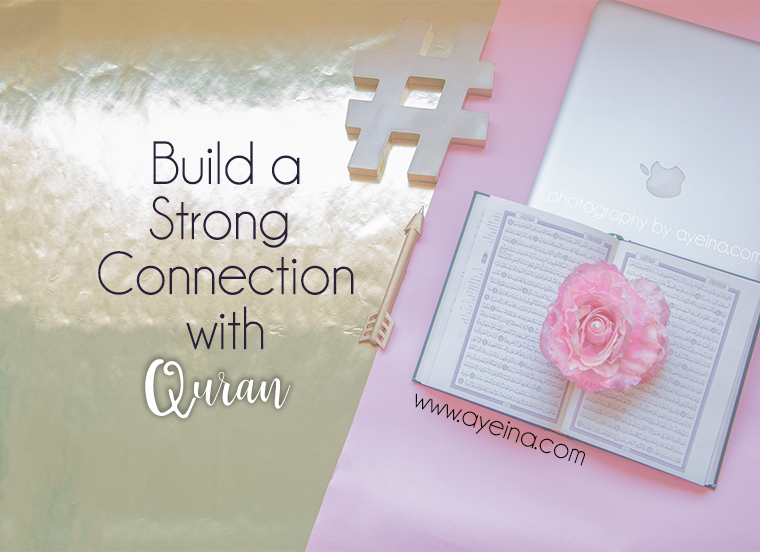 THIS POST can help you with different resources that can help you build a better relationship with the Qur’an in shaa Allah. The Arabic word *Tajweed* literally means “to do well”. 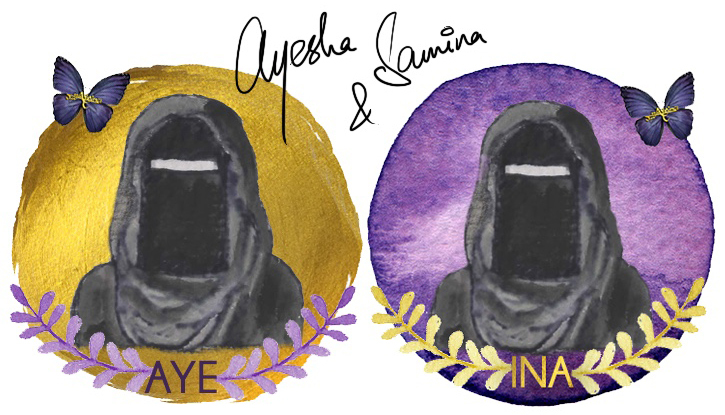 It comes from the same root word as *jayyid* which means “good”. The term Tajweed refers to reciting the Qur’an with correct makhaarij of letters (articulation point of the letters) and observing the characteristics and rules that apply to those letters, as taught by the Prophetﷺ. If you have been taught a different way to recite the Qur’an since childhood, learning proper Tajweed can be challenging indeed. But remember! No effort goes to waste bi’idhnillah. 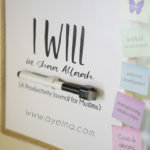 If you want more tips on how to improve your Tajweed in shaa Allah, then refer to THIS article. Be it through CDs, DVDs, Walkman, mp3 player or straight out of youtube, you can listen to the recitation while cooking, driving, cleaning, etc. Prophet ﷺ used to ask`Abdullah (RA) to recite the Qur’an to him. Listening to someone else’s recitation can sometimes take your focus off of tajweed and completely on the meaning of the words – which can enhance your experience in shaa Allah. If your purpose of listening is the improvement of your Tajweed then listen to a recitation by a Qari who is really slow and clear – Suggestion: Qari Hudhaify. If you really want to take things to the next level, try to start this journey with a group or a partner – a friend, a spouse, a colleague (anyone who can make you feel accountable and the one who can start this journey WITH you). If you have a schedule set in place, then both of you can inquire each other if he/she has completed her time of the day. Even though you both will be doing this for the sake of Allah but having someone encourage you in this journey can feel like a huge moral support. How many lessons do we actually remember from our childhood classes? Probably only those that we applied in our life somewhere somehow. Same is the case with the Qur’an. The more you understand, the more you apply. The more you apply, the more you fall in love with it. And love is a big part of keeping relationships alive! Prophet (ﷺ) did not simply recite the Qur’an, he lived it – every word of it. The best part about reciting the Qur’an is that Allah is talking to you and there is no feeling better than that subhaanAllah. You can give a pause in between and simply feel that emotion. The One you’ve been working tirelessly to please is now talking to YOU. He’s pleased with you. Yes, YOU! And you are pleased with Him. This is such timely advice! After becoming a mom it has been so difficult to read as regularly. I have definitely been trying to include my 19 month old lol but sometimes she gets too excited! Haha I can relate. Mine keeps turning pages because she wants me to recite a different line on each page lol. But it’s a great bonding time too alhamdulillah. Thank you so much for the beautiful advice! It’s so true our relationship with the Quran is so important, I want to get back to reciting by heart in sha’Allah. I have downloaded the Quran Academy App. Insha’Allah my goal in the next few months is to be learning a surah by heart regularly. This article is really beautiful and straightforward. I really like how the steps progress steadily. MashAllah, may Allah reward you for sharing such beneficial knowledge, amin! You are one of the rare people you can find in the internet. I subscribed to your newsletter. Always keep up the good work.